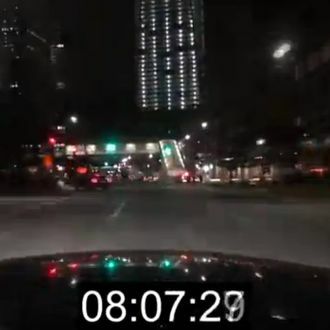 “You frankly can’t identify who I am by just looking at the video and records were meant to be broken,” said the driver, who used a 2006 BMW Z4 for the trip. “I’ll release my name a year from now,” he teased. “Being a fast driver doesn’t mean that you’re inherently a bad or reckless driver,” he added. “I’m in control.” The video evidence backs him up, but he’ll probably get in trouble anyway.